OXFORD, Miss. – Yasmine Malone definitely has an eye for photography. The University of Mississippi student was among 22 young female photographers selected to participate in a recent New York Times feature project. The newspaper asked the women to take photos for “This is 18,” which explores daily life for girls around the world who are becoming adults this year. The attention Malone has gained from her national exposure has put her on the path to joining the ranks of such renowned women photographers as Annie Liebovitz and Sally Mann. Ironically, Malone, who is minoring in political science and journalism, discovered her interest in photography almost by accident. While in high school, Malone was selected to participate in Blue Magnolia Films’ “Celebrating Storytellers” project last year. Commemorating Mississippi’s bicentennial, 100 voices from 13 cities were trained by film company staff in the craft of photography and storytelling during a full-immersion workshop. The resulting images have graced the covers of newspapers across the state, as well as The New York Times. “I took pictures on my iPhone7 for the Mississippi bicentennial project,” she said. “I never thought that my high school experience would lead to something like this. Tieryaa Metcalf, of Clarksdale, Malone’s aunt and seventh-grade honors English teacher, said she noticed her niece was well-spoken and saw her gift of “gab” as potential for future success. To that end, Metcalf urged Malone to write a piece for the Mississippi Public Broadcasting National Writing Project. Throughout Malone’s high school years, Metcalf encouraged her niece to enter several oratorical contests as well. 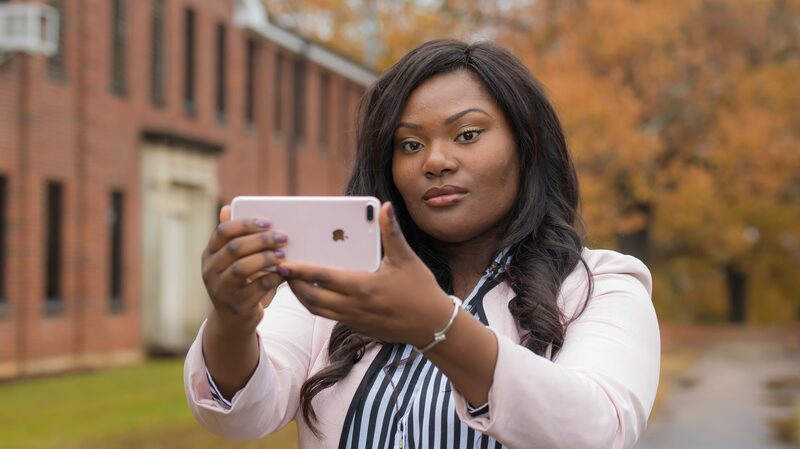 While the New York Times experiences have definitely been a highlight in her life, Malone said she hopes to work as a student photographer for The Daily Mississippian, the Ole Miss campus newspaper. If she joins the staff, it will be in addition to her standing involvements with the Black Student Union and the Associated Student Body Freshman Forum. To view Malone’s photos and story, visit https://www.nytimes.com/2018/10/11/lens/what-life-looks-like-girls-18.html.